Rock guitar backing track for A minor jamming. 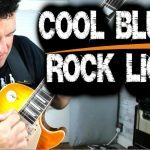 Practice jamming in a ‘classic’ rock style similar to bands like Ratt, Poison, Aerosmith, Guns’n’Roses, Motley Crue and others. 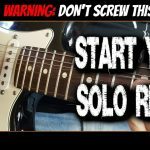 Use to improve your rock soloing, guitar scales, new lick ideas or creating riffs of your own. This guitar track and my other backing tracks are perfect to use with my video lessons and tutorials on my site.